Man: I have a video here on my laptop that will amaze all of you. I want you to really pay attention. 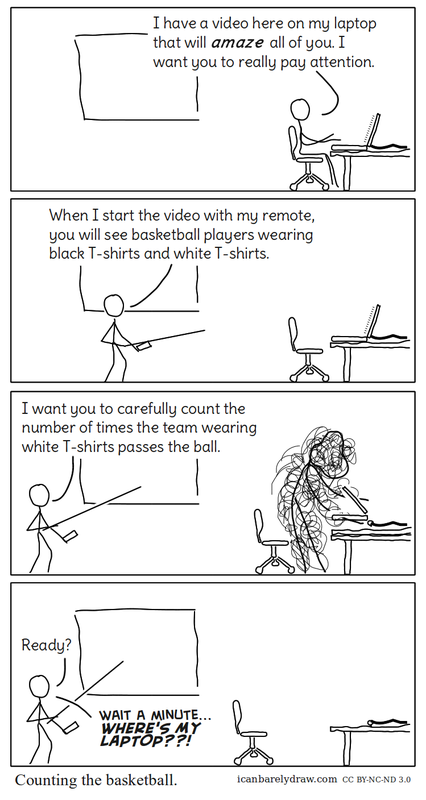 Man: When I start the video with my remote, you will see basketball players wearing black T-shirts and white T-shirts. Man: I want you to carefully count the number of times the team wearing white T-shirts passes the ball. Man: Wait a minute... WHERE'S MY LAPTOP?? !